OSWEGO, NY â€“ Jay R. Gunther Sr., 72, a resident of East Seneca Street in Oswego, passed away Monday May 10, 2010, at St. Josephâ€™s Hospital in Syracuse. 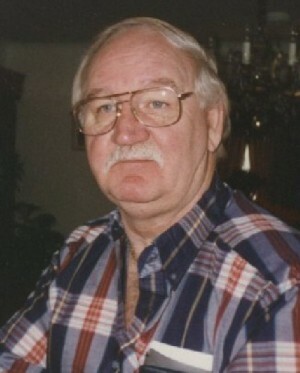 Mr. Gunther was born in Oswego and was a life resident. Prior to his retirement, he was employed as a millwright with Alcan Corp. in Oswego and with General Motors in Syracuse. He is survived by his wife, Catherine (Miuccio) Gunther of Oswego; his mother, Catherine Deming of Oswego; three sons, Jay R. Gunther Jr. of Mexico, Randall Gunther of Mexico and David Gunther of Syracuse; a step-daughter, Heather Mulcahey of Oswego; a brother, George Gunther of Florida; six grandchildren; and many nieces and nephews. He was predeceased by two brothers, John Gunther and James Gunther; two sisters, Amy Clavelli and Lois Terminella; and his step-father, Richard Deming. Funeral services will be held at 10 a.m. Friday in St. Paulâ€™s Church. Calling hours will be held from 4 to 7 p.m. Thursday at the Dain-Cullinan Funeral Home in Oswego.